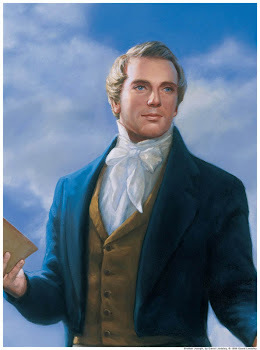 Just an Average Mormon: Whom Say Ye that I Am? Whom Say Ye that I Am? He saith unto them, But whom say ye that I am? And Simon Peter answered and said, Thou art the Christ, the Son of the living God. How would I answer this? 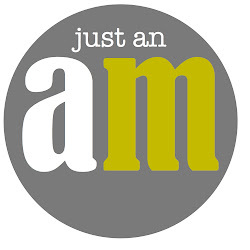 Who is Christ to me? 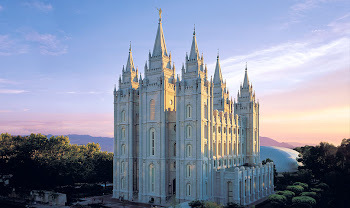 And I began to understand better Elder Bruce R McConkie's words: "In speaking of these wondrous things I shall use my own words, though you may think they are the words of scripture, words spoken by other Apostles and prophets. True it is they were first proclaimed by others, but they are now mine, for the Holy Spirit of God has borne witness to me that they are true, and it is now as though the Lord had revealed them to me in the first instance. I have thereby heard his voice and know his word." For As I pondered this question, I was lead to think on the many testimonies of Christ I have heard in my life. For we labor diligently to write, to persuade our children, and also our brethren, to believe in Christ, and to be reconciled to God; for we know that it is by grace that we are saved, after all we can do. And we talk of Christ, we rejoice in Christ, we preach of Christ, we prophesy of Christ, and we write according to our prophecies, that our children may know to what source they may look for a remission of their sins. ...but his hand is stretched out still. 22 And now, after the many testimonies which have been given of him, this is the testimony, last of all, which we give of him: That he lives! 24 That by him, and through him, and of him, the worlds are and were created, and the inhabitants thereof are begotten sons and daughters unto God. The scriptures and words of the prophets are full of testimonies of who Christ is- for that is their purpose! One of the testimonies that has touched my heart the most is Christ telling me in his own words who He is. 10 Behold, I am Jesus Christ, whom the prophets testified shall come into the world. 11 And behold, I am the light and the life of the world; and I have drunk out of that bitter cup which the Father hath given me, and have glorified the Father in taking upon me the sins of the world, in the which I have suffered the will of the Father in all things from the beginning. Behold, I am Jesus Christ the Son of God. I created the heavens and the earth, and all things that in them are. I came into the world to do the will of my Father. my Father sent me that I might be lifted up upon the cross... that I might draw all men unto me. Learn of me, and listen to my words; walk in the meekness of my Spirit, and you shall have peace in me. Behold the wounds which pierced my side, and also the prints of the nails in my hands and feet. For behold, I, God, have suffered these things for all, that they might not suffer if they would repent. By this shall all men know that ye are my disciples, if ye have love one to another. In my Father’s house are many mansions... I go to prepare a place for you. These testimonies have become my own, for I have read them, prayed about them, and felt of their truthfulness. I have lived them and loved them. So, whom say ye that He is? Who is He to you? As you read and pray about the scriptures, those testimonies of Christ will sink into your heart and mind. They will become yours. And you will understand that you are His. What are some of the testimonies of Christ that have become yours? Which ones are you working on making your own? 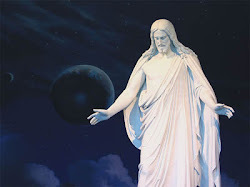 We are all ordinary members of The Church of Jesus Christ of Latter-day Saints , also known as Mormons, who want to share our love of Jesus Christ and his gospel. The Book of Mormon Musical, and the conversion that took place because of it. We are followers of Jesus Christ. He is our Savior and Redeemer. We believe that following the teachings of Christ leads to true happiness. You can learn more about our faith in Jesus Christ. We believe that God has a plan for us. For me. For you. In the scriptures it is called "the great plan of happiness" and you can find out more about the plan that God has for you. We believe that the gospel of Jesus Christ has been restored to the earth through God's Latter-day prophets. You can learn more about the restoration of the gospel.